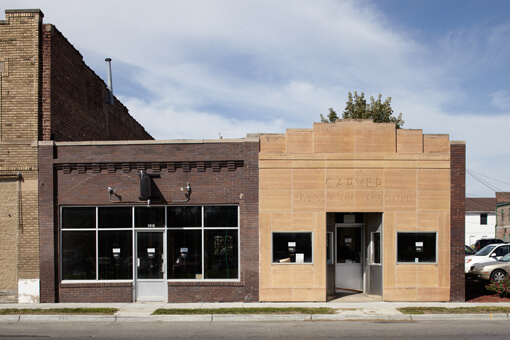 A once prominent but long vacant building in Omaha’s African-American hub is now reborn thanks to catalysts bridging the divide between need and opportunity. The endeavor is the brainchild of Chicago-based artist-developer Theaster Gates, who partnered with his own Rebuild Foundation and the Bemis Center for Contemporary Arts in Omaha. Artist-craftsman Sean R. Ward led the construction. Volunteers from North High, Impact One and the FACT design lab from the University of Nebraska-Lincoln assisted. Tour the Carver at upcoming open houses in December. For details, visit www.bemiscenter.org/carverbank.